Federal back-to-work legislation may have ended rotating strikes by postal workers — but their union now says it's switching to a campaign of "non-violent civil disobedience" to press its contract claims. 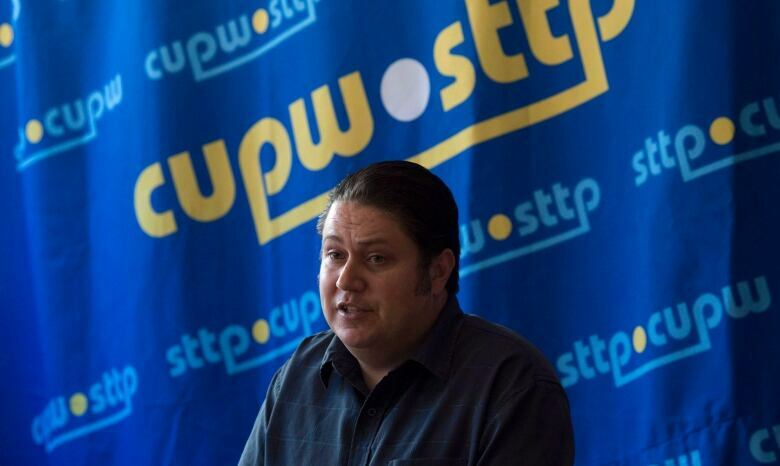 In a statement issued Tuesday, Canadian Union of Postal Workers Union (CUPW) National President Mike Palecek said that while legal strike action is ending, the pressure campaign is just beginning. "You cannot legislate labour peace. We are now moving to a different phase of the struggle," he said. Union members were instructed to return to regularly scheduled shifts as of noon ET today, and to await further instructions. "In the coming days we will be calling on our allies and membership for a campaign of mobilizations, demonstrations and non-violent civil disobedience," Palecek said. "All options remain on the table to achieve negotiated collective agreements that address health and safety, inequitable treatment, fair wages and working conditions, and the democratic right to free collective bargaining." The union also warned it's considering legal action against the federal back-to-work legislation, but offered no details. The rotating strikes ended after senators voted Monday night in favour of the Liberal government's legislation to force Canada Post employees back to work. Bill C-89 was debated in the upper chamber Saturday after the Liberal government fast-tracked the legislation through the House of Commons. The Senate vote passed by a margin of 53 to 25, with four senators abstaining, as walkouts by Canada Post workers entered their sixth week. C-89 imposes fines of between $1,000 and $50,000 per day on anyone found in contravention of the Act, and up to $100,000 per day against Canada Post or the union if they are found guilty of violating its terms. Canada Post said it's working to stablize operations now that employees are no longer in a legal strike position, but warned that backlogs will mean customers should expect delivery delays for the next several weeks. "As Canada Post works to reduce the backlogs, which represent a significant operational challenge, the health and safety of our employees will remain our highest priority," reads a statement from the Crown corporation. Canada Post said hundreds of trailers filled with mail are waiting to be unloaded, and many delivery depots have reached capacity. The union insists the corporation is exaggerating the backlog situation. Customers should expect parcel delays through the peak holiday season and into January 2019, as existing backlogs are expected to worsen this week due to Black Friday and Cyber Monday sales. For international parcels, delays could stretch into March 2019. The letter mail backlog should be cleared and deliveries current before December 25, according to Canada Post. As part of efforts to ease congestion, Canada Post also is using temporary parcel sites during the peak holiday season to allow Canadians to pick up their parcels if they aren't home during delivery. In Toronto, Canada Post will deliver to four so-called 'Penguin Pickup' locations between November and January. Negotiations between Canada Post and the union have been underway for nearly a year, but the dispute escalated when CUPW members launched rotating strikes on Oct. 22. CUPW also wants Canada Post to adopt rules that it said would address workplace injuries — a problem the union has described as a "crisis." Palecek has called the back-to-work bill a slap in the faces of Canada Post employees and accused Prime Minister Justin Trudeau of turning his back on postal workers. The former Conservative government forced an end to a lockout of postal workers during a 2011 dispute by enacting back-to-work legislation, which was later declared by a court to be unconstitutional. Labour Minister Patty Hajdu has insisted the Liberal legislation is dramatically different, since it tasks an independent mediator-arbitrator with reaching a contract settlement in 90 days. Failing that, a settlement could be imposed by the arbitrator. Protecting the health and safety of employees. Ensuring equal pay for work of equal value. Fair treatment for temporary, part-time and other employees in non-standard employment compared to full-time, permanent employees. Ensuring the financial sustainability of Canada Post. Encouraging a culture of collaborative labour-management relations. Enabling the employer to provide high-quality service at a reasonable price to Canadians.